Security officials arrested an Israeli woman who was trying to smuggle illegal Palestinian workers into Israel, along with a cache of drugs. Israeli security officials on Monday arrested an Israeli woman who was trying to smuggle illegal Palestinian workers into Israel – along with a cache of drugs. The woman and three Palestinian workers were arrested and are being held pending a hearing. The woman was caught as she attempted to drive through a checkpoint, with security officials observing suspicious behavior on her part. She was pulled over, and an inspection of blankets in the back seat of her car revealed an illegal Arab worker who was hiding in the back seat. Upon further inspection, the officials found two other workers in the trunk. Along with the workers, the officials found a large stash of Clonex (Clonazepam) pills. The pills are used medically for treatment of epilepsy and panic disorder, but is also used illicitly for its muscle-relaxing and hypnotic properties by many drug takers. Police are investigating whether the woman was planning to sell the pills herself, or was carrying them as a courier for others. Smuggling of illegal Palestinian workers into Israel is an ongoing problem. Last month, an IDF officer was investigated on charges of smuggling Arabs into Israel. 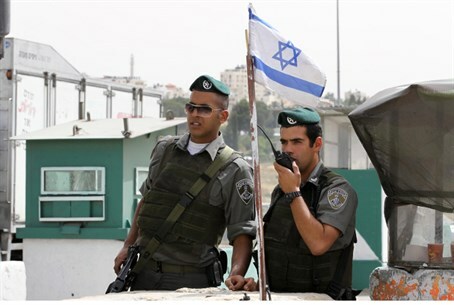 The officer is accused of issued entry permits for Arab residents of Judea and Samaria in return for bribes. Arab residents of Judea and Samaria have been caught in the past with forgery labs to create counterfeit entry permits, for use in either criminal or terrorist endeavors.